In the 1996 MLB season, we saw the Cleveland Indians end the year with the best record in the bigs at 99-62 (played just 161 games) and eventually the New York Yankees winning the World Series in a 4-2 series win over the Atlanta Braves. However the thing that caught my eye was neither the Indians or Yankees, or even any players on either of those teams. Instead, it was a 20 year old Seattle Mariner and 39 year old Minnesota Twin. Those players, of course, are Alex Rodriguez and Paul Molitor who were both among the youngest/oldest players in the league respectively. In that 1996 season, we saw the 20-turning-21 year old Alex Rodriguez become the 2nd youngest player since 1955 to have a season with a batting average of at least .300 and at least 100 runs batted in (Al Kaline in 1955 recorded such a season a few months younger than Rodriguez in ’96). A-Rod turned in a slash line of .358/.414/.631 and an OPS of 1.045; he also recorded 215 hits, 36 home runs and 123 RBI’s while scoring 141 runs. Rodriguez finished 2nd in MVP voting behind Juan Gonzalez by a slim margin while getting an All-Star bid and a Silver Slugger award. 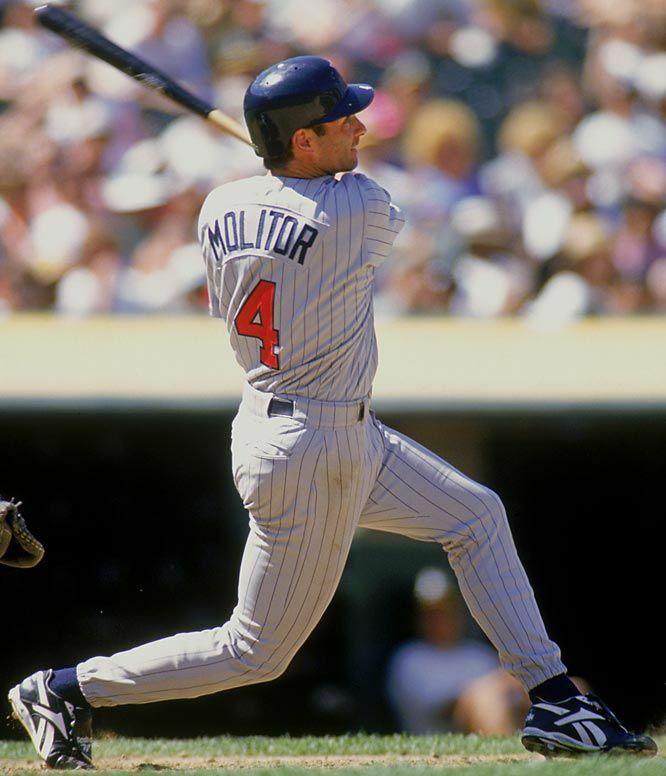 Also in 1996, Paul Molitor turned in the same sort of season, kind of. Molitor’s slash line of .341/.390/.468 and OPS of .858 are all less impressive than A-Rod’s, as well as his 9 homers and 113 RBI’s. Molitor did, however, drop in 225 hits to best Rodriguez in that category. However, Molitor’s season is all the more impressive when you remember he was turning 40 that same year. Molitor was the second oldest player ever to record a .300+ BA and 100+ RBI’s season since 1955, as Barry Bonds was about 1 month older in 2004. His performance at the plate also earned him a Silver Slugger award. Another oddity about Molitor’s season is that his 9 home runs was the 2nd least amount of homers slugged in such a season since 1955 (Tom Herr hit only 8 in 1985). Where the strong paradox comes in, as I’m sure you have noticed by now, is that both the 2nd youngest and 2nd oldest players ever to record seasons of .300+ BA and 100+ RBI’s came in the same season. 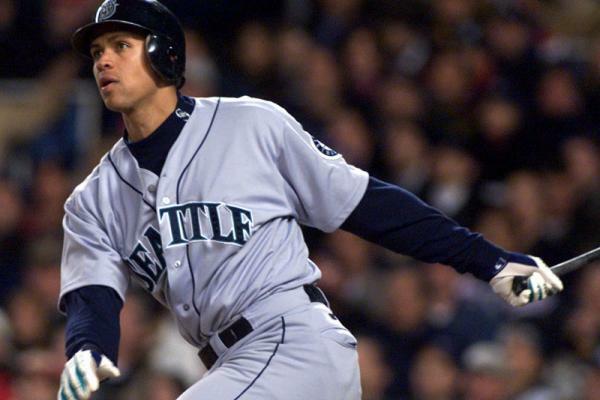 1996 gave baseball fans a peak into the future with stars like Alex Rodriguez busting onto the scene, but also gave a reminder that the past wasn’t done yet in future Hall of Famer Paul Molitor’s impressive year. Seeing both Rodriguez and Molitor put on hitting displays in their own ways is also paradoxical. Rodriguez displayed hitting finesse with power while launching those 36 home runs, which is exactly 4 times as many home runs as Molitor hit. However, Molitor knocked in 113 RBI’s which was just 10 less than Rodriguez. Molitor’s singles approach worked just as effectively as A-Rod’s power swing, yet just appeared less spectacular. It is also important to note that the 1996 season saw 25 other players hit over .300 and drive in more than 100 runs, with names including Andres Galarraga, Albert Belle, Juan Gonzalez and Mo Vaughn leading the RBI category for such players. In fact, 1996 saw the 4th most players with such a season (27) in MLB history (only the years 2000, 1930 and 1990 saw more). It is also worth mentioning the likelihood of these kinds of seasons seems to be dwindling down as 2013 saw just 5 players reach the feat, 2014 only saw 3 and 2015 only had 1 (Paul Goldschmidt). At the end of the ’96 season, new age fans got what they wanted and the fans of traveled veterans got their entertainment as well. It is significant that we saw multiple players produce such seasons in the same year, but even more so when it includes some of the youngest, and oldest, players ever to do so. Minnesota Twins third baseman Miguel Sano was arrested in the Dominican Republic early Sunday morning following an incident that left one police officer with a broken leg. According to a police report, Sano, 25, ran over an officer’s foot during an incident outside a nightclub in San Pedro de Macoris, per ESPN. Sano has been making headlines recently for all the wrong reasons. Back in December, Sano was accused of sexual assault by a female photographer, but no charges were filed and MLB didn’t levy any punishment. 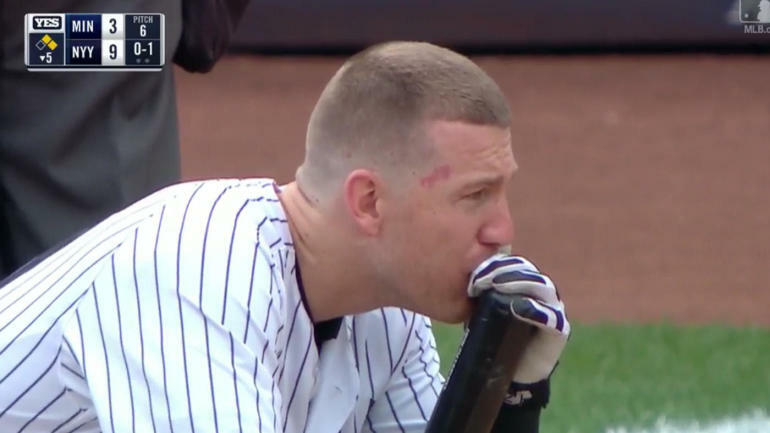 It was a scary scene this past Wednesday afternoon in the Bronx, as a young girl was struck in the face by a 105-mph foul ball off the bat of Yankees third baseman Todd Frazier. Medical personnel attended to the child moments after she was struck, causing a four-minute delay in the game. She was then escorted to New York-Presbyterian Morgan Stanley Children’s Hospital. Just a frightening and unfortunate situation. The fact that it happened to someone this young makes it even worse. Truly horrifying. The Yankees won the game 11-3 to the Minnesota Twins, but everyone’s main concern following the game was the well-being of the girl. Thankfully, Yankees manager Joe Girardi said the girl was doing “OK” following the game, after hearing from security personnel. 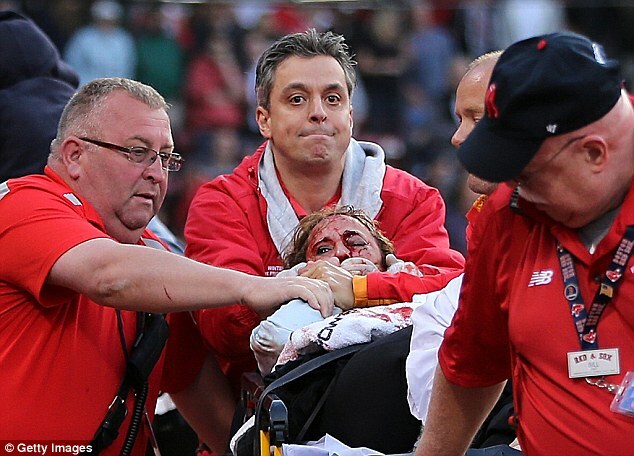 This isn’t the first time this year a fan has been injured at Yankee Stadium. 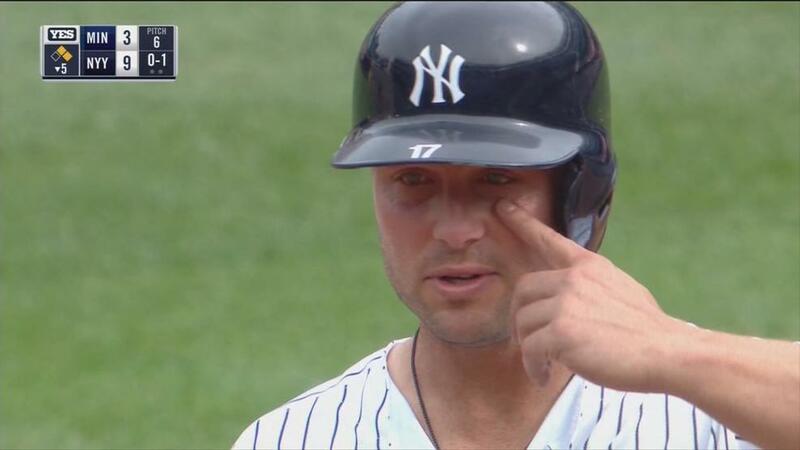 In May, a piece of Chris Carter’s broken bat struck a young boy in the head, and in July, a man’s head was wrapped in bandages after being struck by a 105-mph drive off the bat of Aaron Judge. Luckily, those two fans ended up okay. One day after the latest near-tragedy, four teams—the Reds, Padres, Mariners, and Rockies—announced they will extend their protective netting for the start of the 2018 season. The Red Sox made sure their problem was fixed after two accidents too many in a five-week stretch made it pretty clear they had to do something. Now it’s the Yankees’ turn. There’s no excuse for them not to get something done in time for 2018. This goes for every club across the majors as well. It should go without saying—the latest incident in the Bronx should serve as a wake-up call to all teams that haven’t yet extended the protective netting inside their stadiums. This problem needs to end before someone gets killed. Enough is enough already. Extend the netting to at least the end of each dugout. Problem solved. A few teams have already done that. Good on them, now time for everyone else to follow suit. Of course, these are two basic arguments any given person can make who are opposed to extending the netting. Both are silly. For the first one—if you don’t want your view obstructed, don’t sit in an area where it would be. Or hell, just watch the game on TV. For the second—100-mph foul balls coming at you, or pieces of a broken bat, can still strike you even if you are in fact “paying attention”. Just think of how fast those are coming in hot. Very little reaction time. Think of what’s going on in someone’s mind too if danger like that is approaching them. Sometimes, things like this just happen. 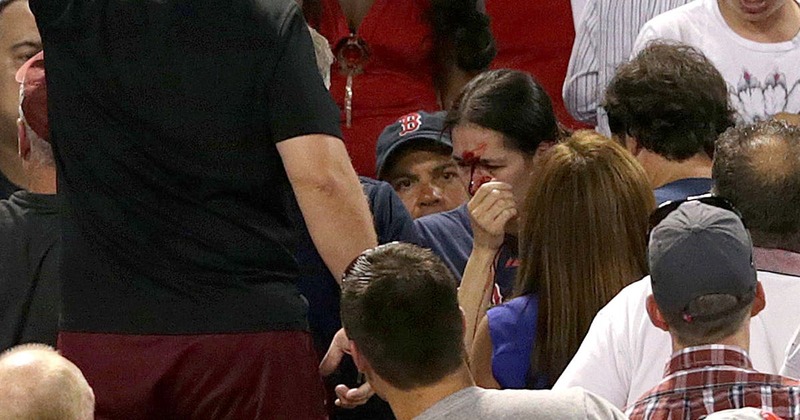 And that’s why Major League Baseball needs to extend its netting in ALL stadiums. Fan safety must be the number one priority. Where does MLB commissioner Rob Manfred weigh in on all of this? “The events at yesterday’s game involving a young girl were extremely upsetting for everyone in our game. Over the past few seasons MLB has worked with our clubs to expand the amount of netting in our ballparks. In light of yesterday’s event, we will redouble our efforts on this important issue,” Manfred told Bob Ley of ESPN following Wednesday’s incident. Hopefully in the coming days and weeks, more teams announce plans to extend their protective netting. It’s something I expect. Forget pace of play (looking at you Manfred), fan protection is the biggest issue in Major League Baseball right now. It’s time for more changes, and less accidents in the stands.